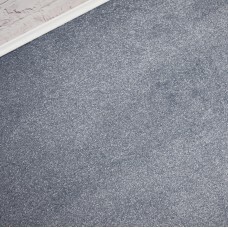 The Amore Shaggy Range is our high quality ultra soft feel shaggy carpet collection.A 25mm super thick shaggy carpet made from twist carpet fibres. 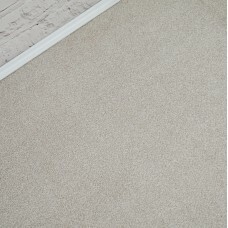 Two tone effect,Sensational feeling underfoot, Stain resistant & hard wearing, Can be cleaned with a bleach solution,Great choice for lounges, study & bedrooms,Made with anti static fibres,Woven backing - Requires Underlay & Grippers. It is available in 4m width only.Due to the h.. The Fells Prime Time Elite Carpet range is our new limited stock carpet collection.This range has selection of colours and widths available.Soft feel underfootStain resistant & hard wearingCan be cleaned with a bleach solutionGreat choice for the busy modern home in any/all rooms, including stairs & landingsAction Back - Does require Underlay & Grippers when fittingIt is available in 4m width only. Specifications:Name: Prime Time EliteColour: M.. The Fells Prime Time Elite Carpet range is our new limited stock carpet collection.This range has selection of colours and widths available.Soft feel underfootStain resistant & hard wearingCan be cleaned with a bleach solutionGreat choice for the busy modern home in any/all rooms, including stairs & landingsFelt Back - Does not require Underlay & Grippers but highly recommended when fitting.It is available in 4m width only.Specifications:N.. 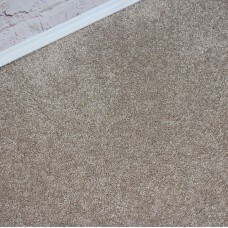 The Fells Prime Time Elite range is a new limited stock, high quality and soft feel 2-ply Saxony carpet collection. This range has selection of colours available. A soft feel underfootStain resistant & hard wearingCan be cleaned with a bleach solutionGreat choice for the busy modern home in any/all roomsFelt Back - Does not require Underlay & Grippers, but it is highly recommended.It is available in 4m width only.Specifications: Name: Prime Time El.. 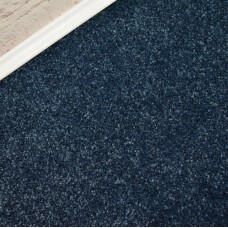 The Abingdon Lasting Romance Carpet Range is our high quality, super soft and dense saxony carpet. This range comes in 6 colours: Cool Velvet, Silver Cloud, Truffle, Pashmina, Hazel, Nickel. Feels as good as it looks, Fantastic anywhere in the house, including stairs & landings, Rich modern shades, Speckled look, Glossy finish, Hard wearing, Bleach cleanable, Soft Fleece/Action Back - Requires Underlay & Grippers. It is available in 4m width only. Sp.. 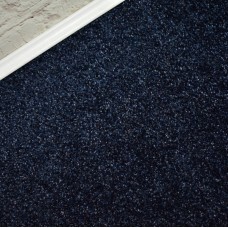 The Abingdon Lasting Romance Carpet Range is our high quality, super soft and dense saxony carpet. This range comes in 6 colours: Cool Velvet, Silver Cloud, Truffle, Pashmina, Hazel, Nickel. Feels as good as it looks, Fantastic anywhere in the house, including stairs & landings, Rich modern shades, Speckled look, Glossy finish, Hard wearing, Bleach cleanable, Soft Fleece/Action Back - Requires Underlay & Grippers. It is available in 4m width only. .. The Abingdon Stainfree Melody Carpet Range is a great quality soft and dense Saxony carpet.Feels as good as it looks,Fantastic anywhere in the house, including stairs & landings, Rich modern shades,Speckled look, Glossy finish,Hard wearing,Bleach cleanable,Soft Fleece Action Back - Requires Underlay & Grippers.It is available in 4m width only. **Limited Stock Product**Specifications:Name: Abingdon Stainfree MelodyColour: Blue BellThickness: 12mmMaterial: 100.. The Abingdon Stainfree Melody Carpet Range is a great quality soft and dense Saxony carpet.Feels as good as it looks,Fantastic anywhere in the house, including stairs & landings, Rich modern shades,Speckled look, Glossy finish,Hard wearing,Bleach cleanable,Soft Fleece Action back - Requires Underlay & Grippers.It is available in 4m width only. **Limited Stock Product**Specifications:Name: Abingdon Stainfree MelodyColour: Candy PinkThickness: 12mmMaterial: 10.. 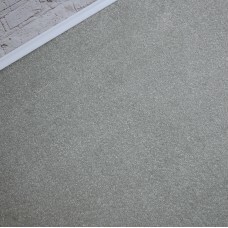 The Abingdon Stainfree Melody Carpet Range is a great quality soft and dense Saxony carpet.Feels as good as it looks,Fantastic anywhere in the house, including stairs & landings, Rich modern shades,Speckled look, Glossy finish,Hard wearing,Bleach cleanable,Soft Fleece Action back - Requires Underlay & Grippers.It is available in 4m width only. **Limited Stock Product**Specifications:Name: Abingdon Stainfree MelodyColour: Dove GreyThickness: 12mmMaterial: 100.. The Abingdon Stainfree Melody Carpet Range is a great quality soft and dense Saxony carpet.Feels as good as it looks,Fantastic anywhere in the house, including stairs & landings, Rich modern shades,Speckled look, Glossy finish,Hard wearing,Bleach cleanable,Soft Fleece Action back - Requires Underlay & Grippers.It is available in 4m width only. **Limited Stock Product**Specifications:Name: Abingdon Stainfree MelodyColour: Irish CreamThickness: 12mmMaterial: 1.. The Abyss Berber Carpet range has a quality stain resistant construction and a hard wearing Berber loop pile.Made of different shades of coloured yarn which compliment each other well,Stain-safe,Can be cleaned with a bleach solution,Extremely colour-safe,Suitable for use anywhere in your home,Ideal for stairs and landing,Easy to fit,Felt back - Underlay & Grippers not required but highly recommended. It is available in 4m width only. Specifications:Name: Abyss B..